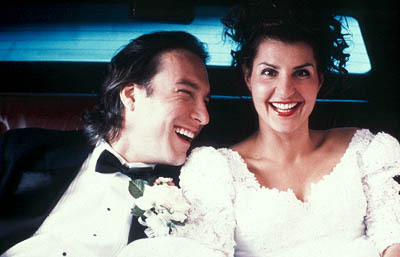 A man and woman from two different cultures like Toula Portokalos and Ian Miller, the main characters of the movie My Big Fat Greek Wedding wish to get married. Each of their cultures have very different wedding customs, and both of their respective sets of parents want to be sure that their customs are being observed when the couple gets married. They enter Double Happiness International Wedding Planners of Queens, NY where you work. This is the premier wedding plan-consulting firm. The man and woman hire Double Happiness International Wedding Planners to help come to an agreement between their families. You as planners from Double Happiness International Wedding must come to an agreement with the bride's family and the groom's family as to what would make the best and fairest wedding ceremony. How are you going to prepare a wedding ceremony that satisfies the two families with their very different cultures?